Last Fall I had the opportunity to dye yarn with a group of fellow yarn lovers at an alpaca farm in Apple Valley. 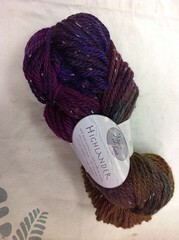 From that experience I knew I had to start dying my own yarn for the shop. Since dyeing yarn in a crock pot works best outside, I chose May to start dyeing. I now have the Jacquard Acid Dyes available in stock – all 40 colors. 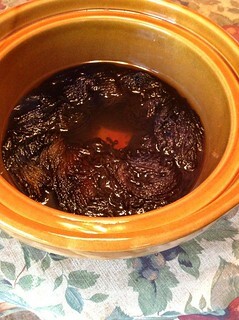 “Acid” dye sounds ominous but you are just mixing a small amount of dye powder with white vinegar in your crock pot. I call this no mess dyeing and it just takes a few minutes here and there and the crock pot does the work! 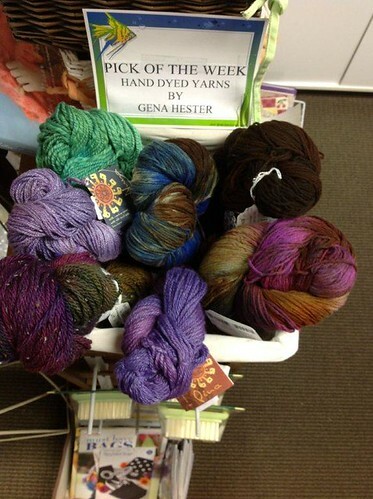 It’s like giving birth to your favorite color pallet with yarn! It goes in natural/white/or off white and comes out in a brilliant array of colors. 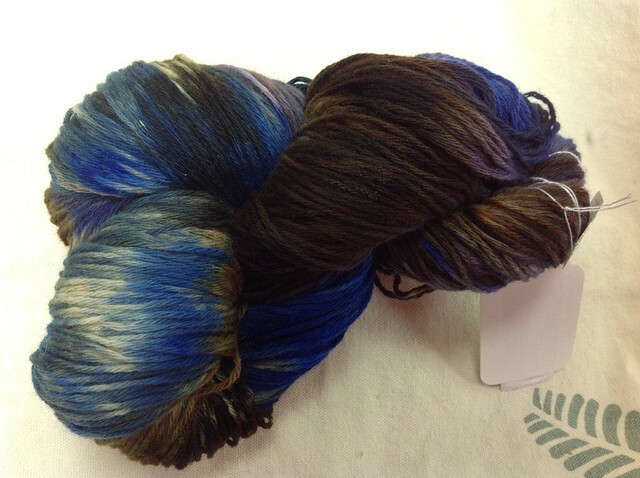 I’ll warn you right now – dyeing yarn is highly addictive and doesn’t have to be really expensive. It costs less than buying hand dyed for sure. I’ve learned a lot over the last few weeks and I’ve only ruined 3 hanks of bamboo which didn’t take dye well. I won’t be doing 100% bamboo again soon. Using merino, wool, alpaca, silk or a blend of any of these works well. 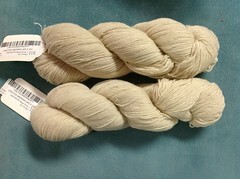 I plan to start stocking a nice range of “naked” yarns in different sizes, textures and contents over the summer. If you would like to take one of my classes on a Saturday, just email me at yarn@verizon.net and I will let you know the schedule when we have enough people. Today I’m redying some of the hanks that got ruined in our mud flood of December 2010 – I couldn’t resist saving these instead of selling them for $3 each! Here’s the pictures before and after.